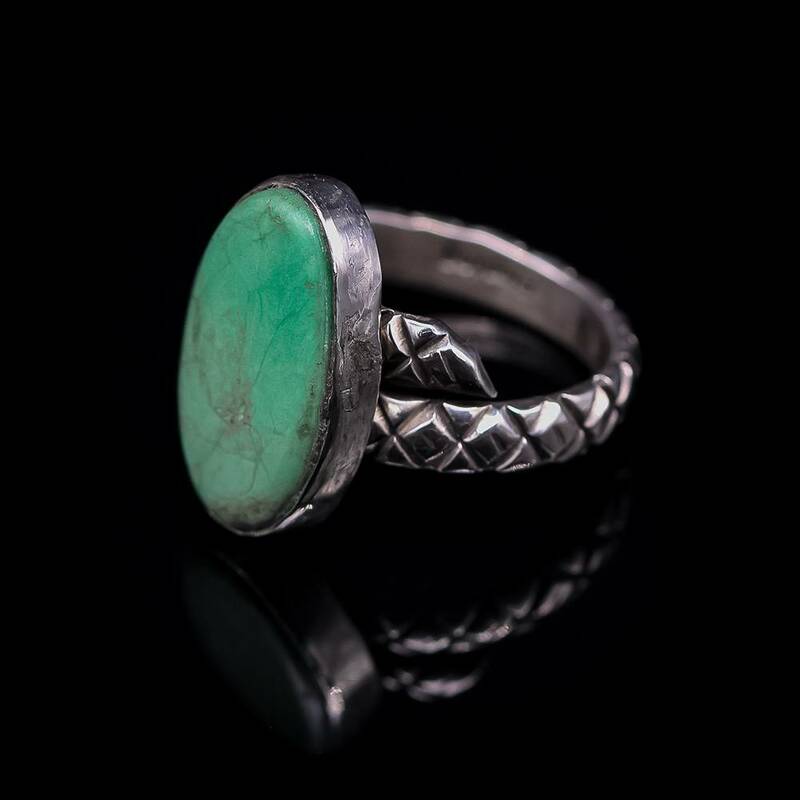 Size 7 Turquoise & Sterling Silver Ring. 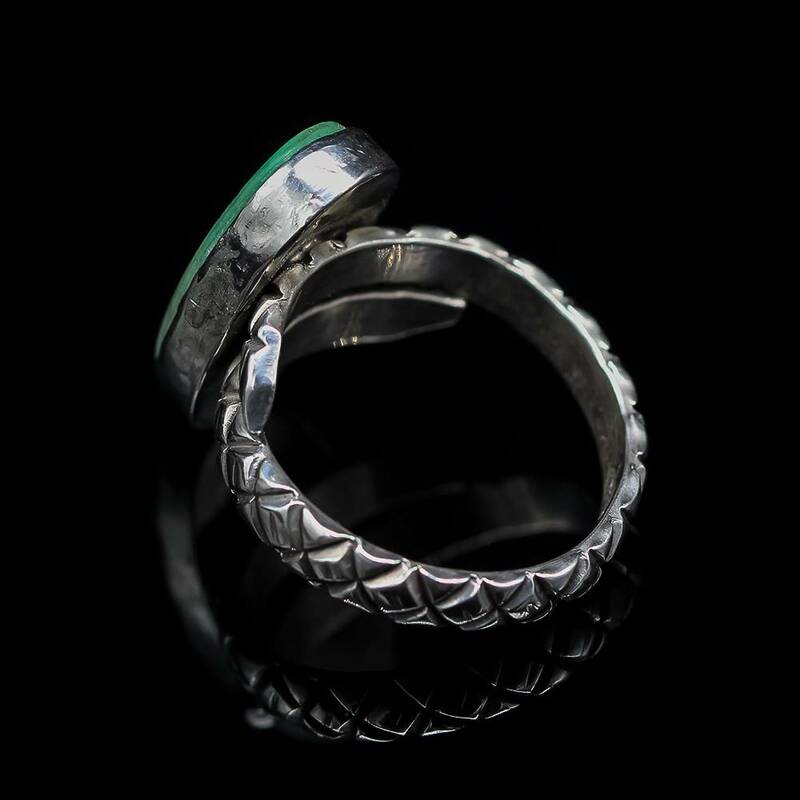 Ring Face Measures 3/8" x 3/4". 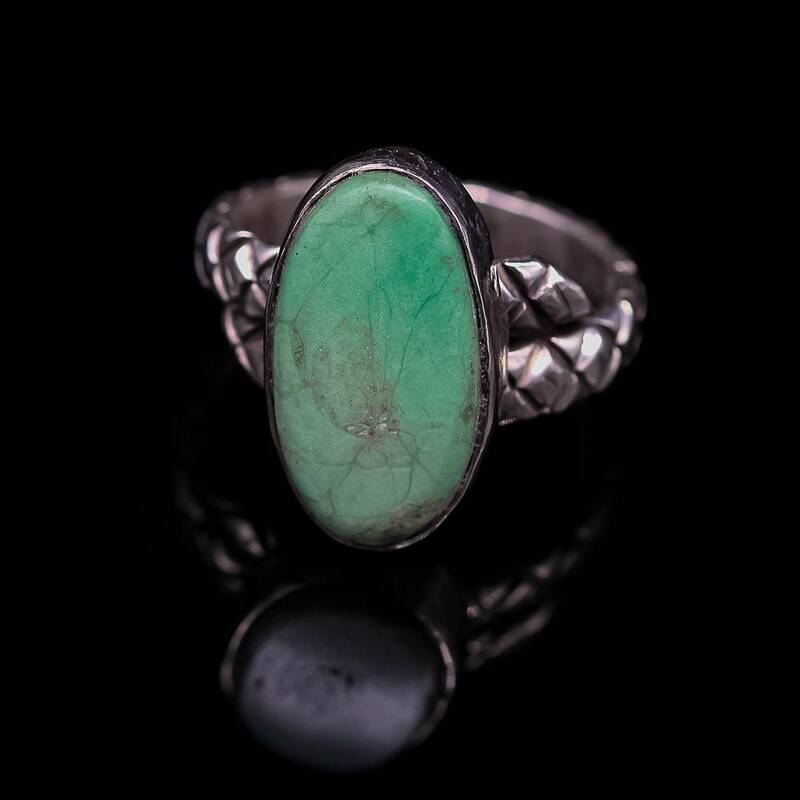 This stunning ring perfectly captures the spirit of the southwest with a gorgeous green turquoise stone set in a smooth bezel. With it's breathtaking design, this work of art is sure to turn heads.